Money laundering | Strike of Lightning! 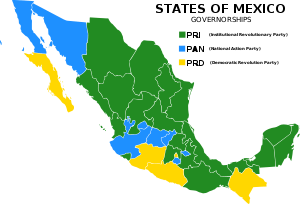 Mexicos Organic Law; National Anti-Corruption and Combating Money Laundering! The Senator‘s National Action Party (PAN), Ricardo García Cervantes, introduced a bill to create the Organic Law of the National Anti-Corruption Prosecution and Combating Money Laundering. In an interview, the vice coordinator of the PAN senators recalled that last September he proposed a constitutional amendment which proposes to create such a prosecution, and Money lending act which is already, commissioned for their respective dictaminación. He explained that the prosecution seeks to prevent, punish and eradicate corruption and preserve the integrity of the Powers of the Union, the states, Federal District and autonomous constitutional bodies. Garcia Cervantes said that corruption and ‘wash’ money represents “direct threat” to the national economy that cause adverse effects as a misguided distribution of public resources. Therefore, the Prosecutor is created, to automatically pursue all cases of corruption and those arising from the use of illegally obtained financial resources committed by any member of the Powers of the Union, he said. Garcia Cervantes said that the prosecution will be chaired by a national prosecutor, whose appointment will be made pursuant to the notice issued by the Senate, and shall be elected by two-thirds of the Senators present. The prosecutor last eight years in office and may be reelected only once, and will only be removed for violations of that law or the Constitution, for which it should make impeachment against him, he said. The PAN senator said that also created the National Register of Financial Condition of Public Servants including records of the Powers of the Union, which will have unrestricted access to the prosecution. Guatemala’s criminal organizations are the most sophisticated and dangerous in Central America. Some of them have been in operation for decades. They include former members of the military, intelligence agencies and active members of the police. Transporting illegal drugs north comprises the bulk of their activity, but organized crime in Guatemala is also involved in marijuana and poppy cultivation, as well as human trafficking, kidnapping, extortion, money laundering, arms smuggling, adoption rings, eco trafficking and other illegal enterprises. They often work with groups from Mexico, Colombia and other Central American nations. And they have the potential to expand and command other Central American nations’ underworlds.